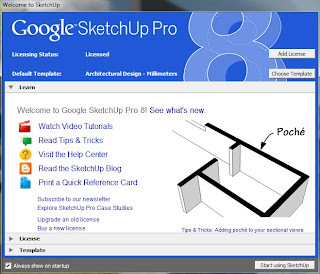 Google SketchUp - a simple and convenient tool for creating, processing and presentation of three-dimensional models. Allows you to quickly and accurately create almost any construction application of different levels - from Draft-sketch to the finished project. Works well in conjunction with 3ds max, Piranesi, Archicad. Buildings, furniture, interior design, building construction and much - much more designed for a few minutes. In addition, GoogleSketchUp provides the ability to create multipage documents and presentations; unfolding and annotate the set of scaled models on the same page, create, document and make a presentation of the project, using a single drawing.